The March 4th agreement signed between the Patriotic Union of Kurdistan (PUK) and the Kurdistan Democratic Party (KDP) has not included a timeframe for the appointing of a new governor for the multi-ethnic province of Kirkuk which was one of the points of dispute between the two main Kurdish political parties, according to sources. 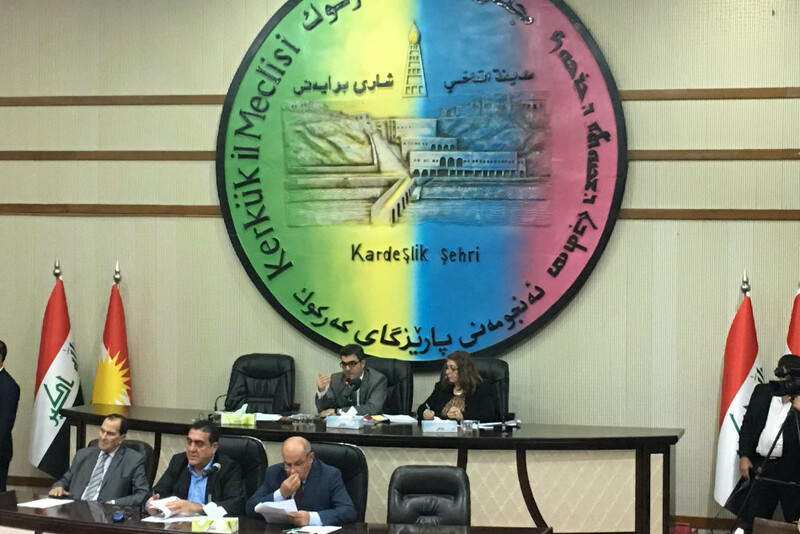 PUK and KDP officials met on Monday in Erbil and signed a political agreement on the formation of the new Kurdistan Region cabinet, however they failed to agree on a candidate for the post and tasked a special committee to reach a final decision. The KDP accuses the KDP of “betrayal” during the October 16, 2017 events when Iraqi security forces retook control of territories disputed between the Iraqi federal government and the Kurdistan Regional Government (KRG), driving Kurdish Peshmarga forces out. Meanwhile, the PUK will not take part in the new cabinet unless a PUK candidate is appointed as Kirkuk governor. The PUK lost the post of Kirkuk governor following the October 16, 2017 events and has been engaged in intensive efforts to convince the diverse components of Kirkuk, the KDP and the Iraqi government to re-assume the post.